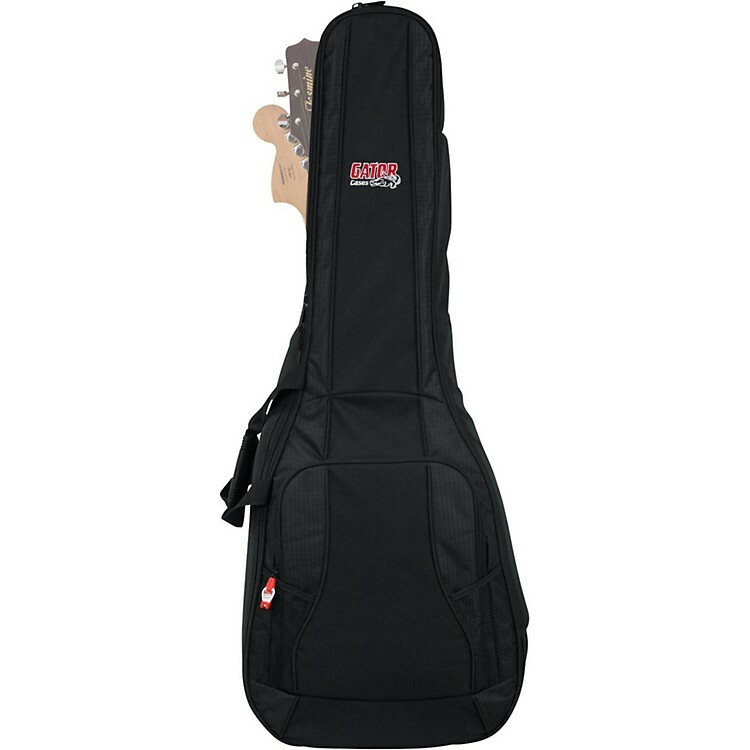 Double bag for acoustic and electric. Lower Bout Width: 16 in. Middle Bout Width: 14.5 in. Upper Bout Width: 12.5 in. A lot of players use both on the same show. Here's a case for those players. Order today.